It's time to get to know lamb! Spring is the traditional season to enjoy this flavor-packed meat, but there's a lamb dish for every season of the year. With so many different cuts and cooking methods, we think every home cook should have a few go-to lamb recipes in their repertoire. Whether you cook it for your Sunday roast, weekday dinners, grilling parties, or holiday meals, lamb makes a pleasant change from the usual beef or chicken. Here are our best recipes for cooking lamb. 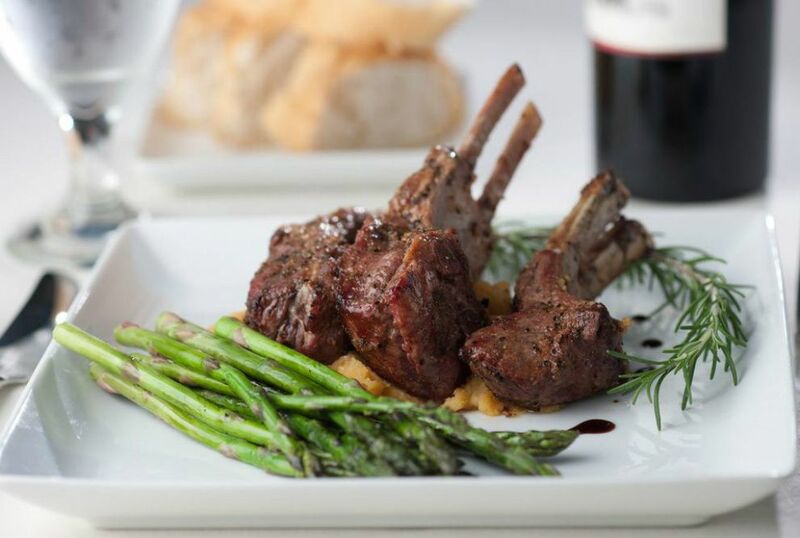 Brown these elegant racks of lamb in a pan, then roast in the oven, and finish with a delectable red wine and herb pan sauce. Making this dish for a special occasion? Ask your butcher for a "crown roast," which joins two small racks to form a circular shape for an impressive presentation. Garnish with fresh herb sprigs, and watch your guests' eyes light up when you bring it to the table. Roast leg of lamb is a favorite Easter dinner recipe, and makes a great special occasion meal as well. Marinate a boneless leg of lamb in an olive oil and herb rub, then roast in a very hot oven until browned and perfectly done. If you enjoy mint sauce on lamb chops, you're sure to like this Vietnamese-style recipe. Blend citrusy, aromatic lemongrass with classic Asian flavors, and marinate chops overnight for tons of intense flavor. Explore East Indian flavors with a fragrant, delicious lamb dish that cooks in less than an hour. The luscious, gravy-style sauce will knock your socks off—a timeless blend of tomato, onion, garlic, ginger, and dried Indian spices. Cook lamb chops marinated overnight with tangy Moroccan ingredients over a hot grill for a delicious dinner you'll make again and again. Experience the magic that happens when lamb meets fresh mint, lemon juice, cumin, and garlic. Make over your backyard burger game with this recipe for savory lamb burgers with Middle Eastern spices. Serve on a bun, topped with tangy feta cheese and cool labneh—a dairy product similar to Greek yogurt. 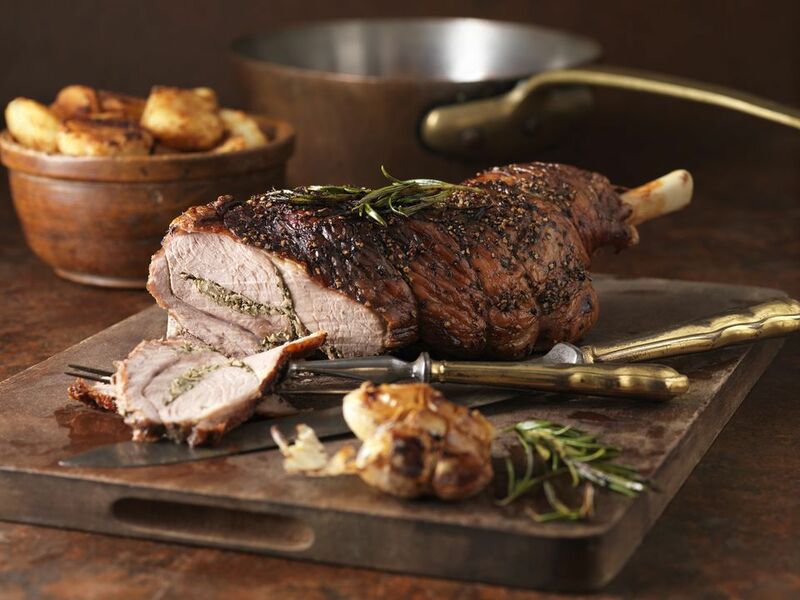 Slather this boned and rolled roasted lamb with a crave-worthy sauce made from pan drippings, Madeira wine or sherry, and chicken broth. Serve this regal entrée when you want to impress dinner guests! Lamb shanks are a slightly tougher cut of meat that stand up well to low, slow cooking. The crockpot is an ideal way to prepare them, and this recipe for braised lamb shanks with mushrooms and tomato sauce lets you "set it and forget it," for a saucy, rib-sticking dinner. Coat racks of lamb in a tangy herb-infused Dijon mustard and white wine marinade, and cook on a hot grill. Allowing enough time for the meat to marinate will result in tender, juicy lamb with lots of savory flavor. Stuff boneless leg of lamb with an aromatic mixture of parsley, garlic, and pancetta, then roll up, tie with twine, and slow-roast in your oven for a hearty main course. This recipe makes a great Sunday roast, and we've included tips for making a simple white wine pan sauce to go along with it. Traditional Moroccan ingredients like preserved lemons, olives, ginger, turmeric, and saffron elevate this tasty lamb dish to dinner party-worthy status. You can use a tagine cooking vessel if you have one, but a Dutch oven with a tight-fitting lid will do the trick. For this show-stopping recipe, stuff seasoned whole boneless lamb with herbs and spices, then wrap and roll in tender belly meat, which caramelizes beautifully in a hot roasting pan. Slice into thick medallions and serve with oven-roasted vegetables on the side for an unforgettable main course. Top Greek-style lamb kabobs with an easy homemade yogurt sauce, then fold into warm pita bread for a satisfying sandwich that makes a tasty lunch or dinner. Fragrant roast lamb with lemon and spices makes a warming meal on cold days. The lamb cooks low and slow in the traditional Turkish manner, for tender, juicy meat that falls off the bone. Serve with mashed potatoes or a Turkish rice pilaf. You only need 30 minutes to make this flavorful lamb stir-fry with traditional Mongolian ingredients like scallions, rice wine, vinegar, sugar, soy sauce, and sesame oil. It makes a great weeknight dinner, served over hot rice. The Instant Pot makes it quick and easy to prepare this stunning leg of lamb for weekend dinners, or when company visits. The lamb browns quickly in the pressure cooker before roasting for a crisp, golden-brown presentation. In about 30 minutes, your hearty dinner will be table-ready. Ask your butcher to french lamb chops—the culinary term for removing the skin around the exposed bones—to make this delicious entreé really shine on the table. Marinate your chops in Dijon mustard, orange zest, and fresh thyme, then cook on an outdoor grill or in a grill pan under the broiler. Slow-roasting in the oven produces tender, well-seasoned shanks in this simple rosemary lamb recipe. Serve with mashed potatoes and a green vegetable for a hearty weekend dinner. Tender lamb shoulder mingles with potatoes, carrots, and green peas in this hearty, slow-simmered lamb stew that makes a warming dinner on cold or rainy days. Make quick parsley dumplings with biscuit mix for a homey finishing touch. Meaty lamb loin chops sport a T-shaped bone, like a T-bone steak, for an impressive presentation. Pan-sear, then finish in the oven with a simple homemade tomato sauce that imparts loads of tangy flavor. Serve with herbed rice or mashed potatoes. Looking to refresh your meatloaf recipe? Try ground lamb for a new spin on this favorite family dish. Subtly spiced with cumin and cinnamon, this lamb meatloaf tastes great with mashed potatoes, or sliced for sandwiches the next day. Butterflying a leg of lamb helps to ensure even cooking on the barbecue. Marinate the meat in olive oil, apple juice, apple cider vinegar, fresh rosemary, and earthy spices, before grilling it to perfection. Add these intensely flavored, mint-infused lamb meatballs to a plate of pasta and tomato sauce, or wrap in warm pita with a dollop of Greek yogurt for a new spin on weeknight dinner. Breathe new life into your meatball mix with paprika, cumin, and cayenne (if you're feeling a little spicy). Enjoy the island flavors of this meaty, spicy lamb stew that cooks all day in your crockpot. Serve it ladled over hot cooked couscous or creamy mashed potatoes for a rib-sticking dinner. Za'atar is an earthy spice used in Middle Eastern cooking that's a great match for lamb's intensely meaty flavor. Use za'atar to season chops before searing them in a hot pan, and finishing in the oven. Serve with the included gravy recipe. Banh mi is Vietnam's flavorful baguette sandwich, loaded with different meats, pickled vegetables, and condiments. This next-level sandwich features homemade lamb meatballs flavored with cilantro and lemongrass, plus a simple, tangy vegetable slaw, all sauced with sriracha and extra-savory kewpie mayonnaise.